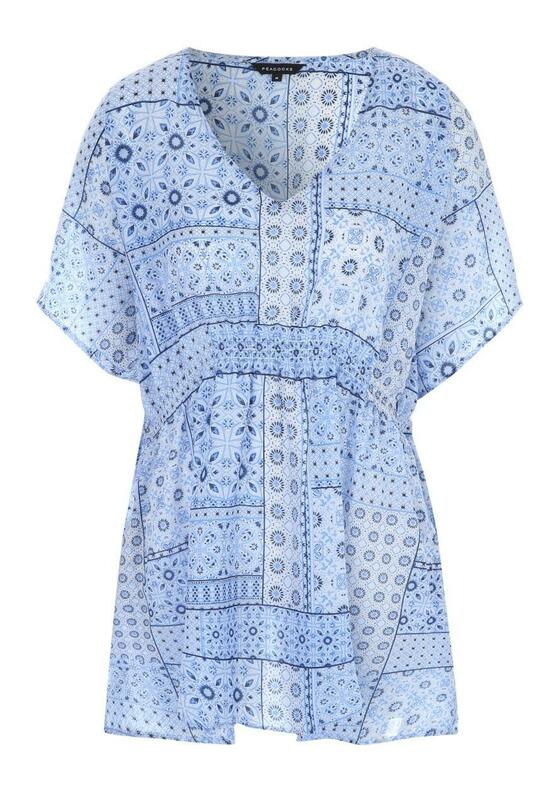 Layer up in style with this on-trend kaftan. 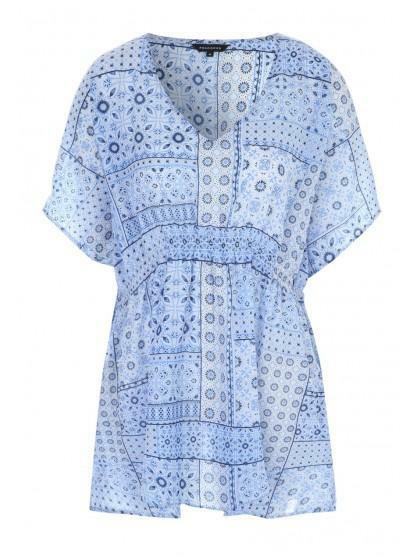 This cover up features a loose fit design, elasticated waist, v-neckline and all over blue tile print, making it perfect for holidays. Looked very thin and cheap. Not like the picture. Lovely material & great top for my holiday!